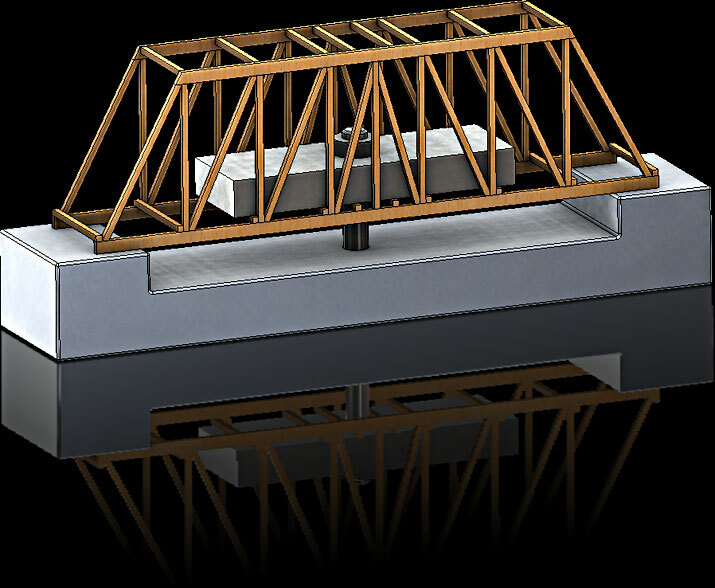 Welcome to cudacountry's SOLIDWORKS 2018 Bridge Structural Analysis Tutorials. 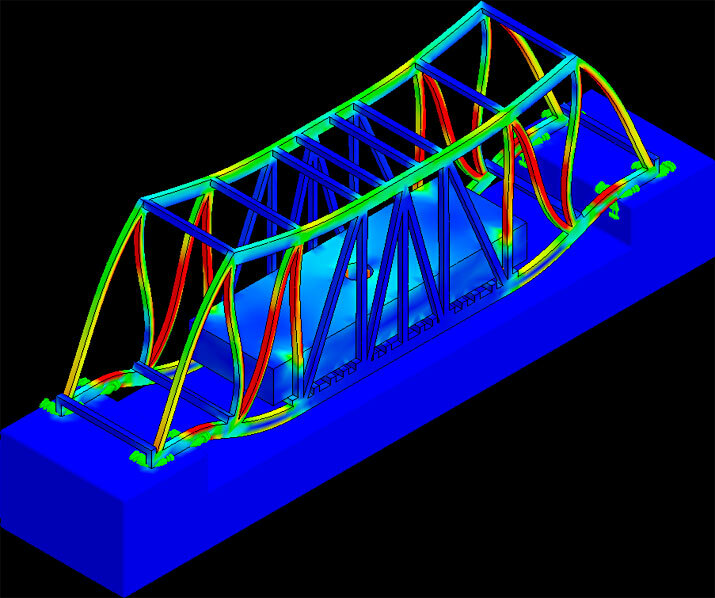 We use SOLIDWORKS Weldments to design our bridge and SOLIDWORKS Simulation to analyze the structure. Also, use Excel to create a spreadsheet with formulas to calculate, Safe Force, Total Load and Bridge Efficiency. The tutorials use a bridge structure designed to meet Middle School Technology Student Association conference competitive events requirements. The following tutorials with the PDF icon are available for viewing. Download the free reader from Adobe. 1. Profiles. .125 x .125 and .125 x .25 profiles. All units inches. 2. Simple Span. 2.25 x 12 Balsa. Excel 3. Bridge Data. Create Excel spreadsheet to collect data of Bridge analysis. Use formulas to calculate Safe Force per Item, Total Load and Efficiency. 4. Simple Span Structural Analysis. Record data in Excel file. Part 5. Bridge Joints. 2.25 x 3 x 12. 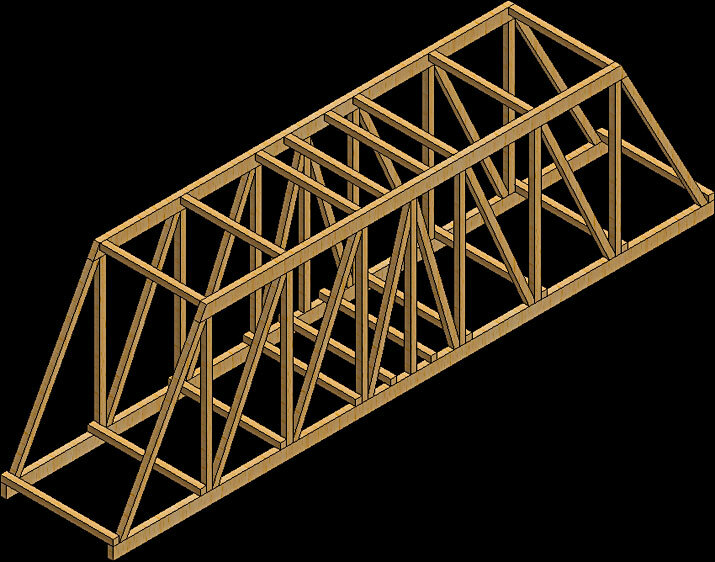 Create new configuration and add Left Truss to Simple Span, Mirror and add top struts. Simulation 6. 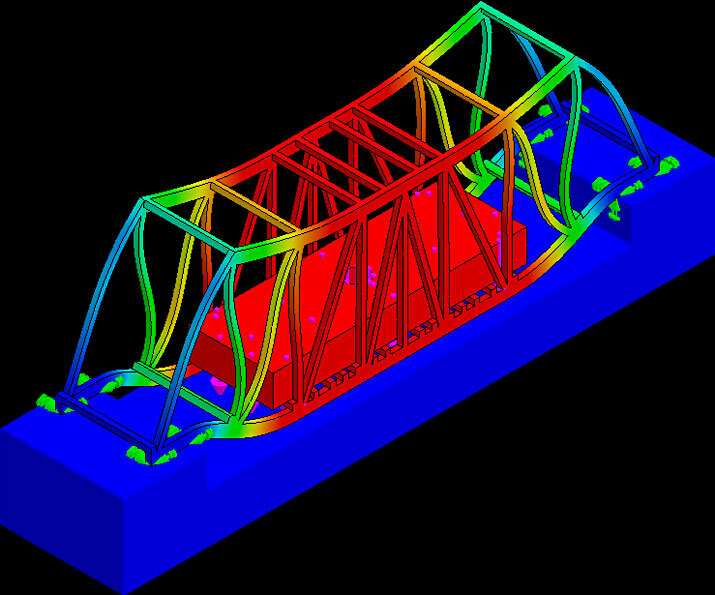 Structural Analyze Bridge Joints. Record data in Excel file. Part 7. Add Floor Beams. Simulation 8. 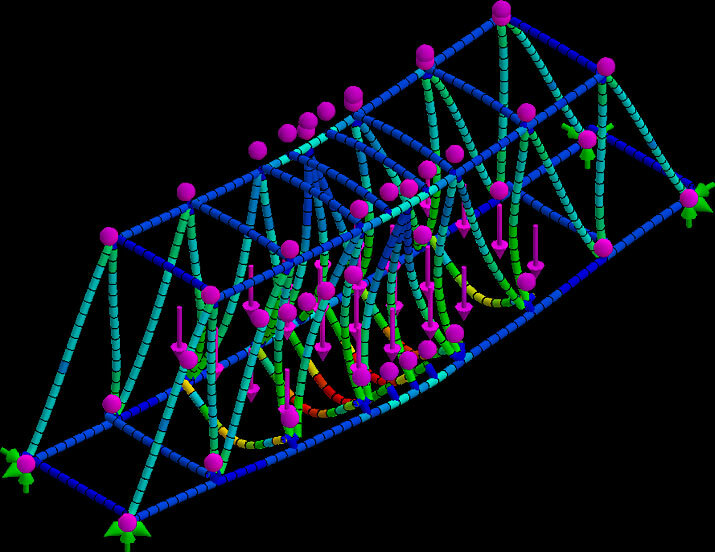 Structural Analyze Bridge Add Floor Beams. Record data in Excel file. Part 9. Add Bottom Lateral Bracing. Simulation 10. Structural Analyze Bridge Bottom Lateral Bracing. Drawing 11. Drawing with Cut List. 11” by 17” paper. Includes cut list table formulas for totaling stock lengths. Part 12. Base for assembly. Part 13. Block. 3/4 x 2 x 6 block used with Crusher assembly. Part 14. Rod. 1/2" rod used with Crusher assembly. Nut 15. Nut from Toolbox. Simulation 17. Analyze Joints Assembly. 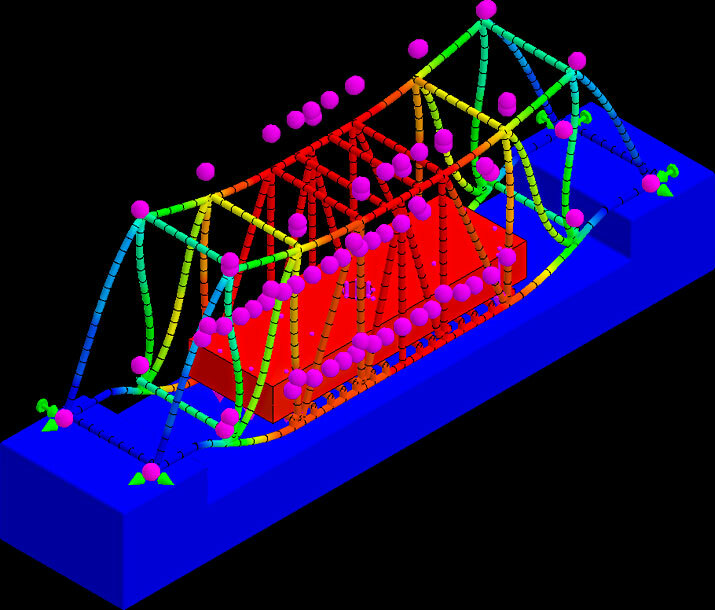 Analyze Bridge in assembly with Bridge as Weldments. Be prepared for longer simulation run time. Part 18. Bridge Combine. Create new configuration in Bridge file, combine weldments into one solid body and create split line faces for fixtures. Simulation 19. Analyze Combine Assembly. 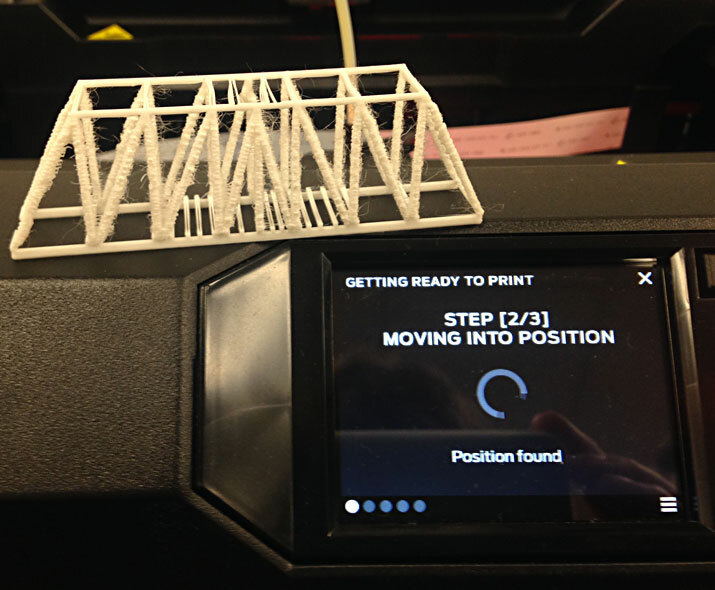 Analyze Bridge in assembly with Bridge combined into one solid body. Be prepared for longer simulation run time.